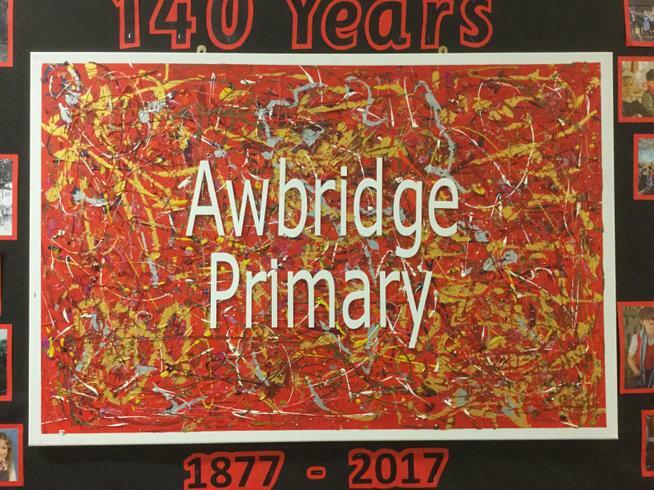 At Awbridge Primary we believe that art and design is an essential means of creative expression that boosts self esteem and gives children opportunities to think outside of the box. 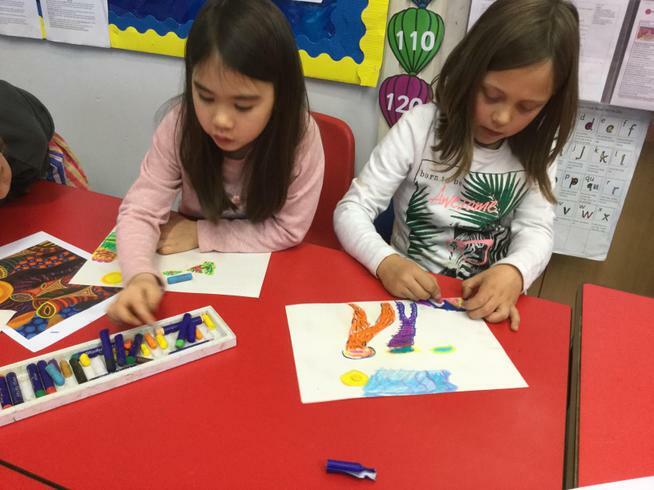 Art gives children the opportunity to work both individually and collaboratively, and it is these opportunities to work together for a common purpose that demonstrates to children that their contribution is important. 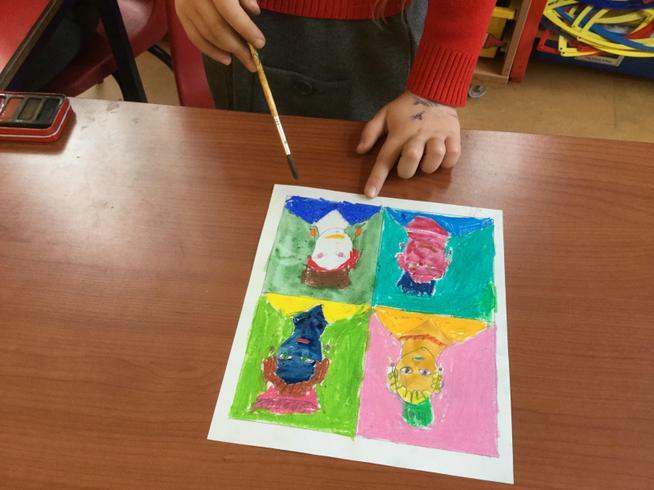 From Year R onwards children build on a progression of skills in a broad range of art and design techniques that encompass drawing, painting, sculpture, printing, collage, textile and the digital arts. Children learn to work with and choose from a wide range of resources to enable them to have as rich experience as is possible and to prepare them for Secondary education. 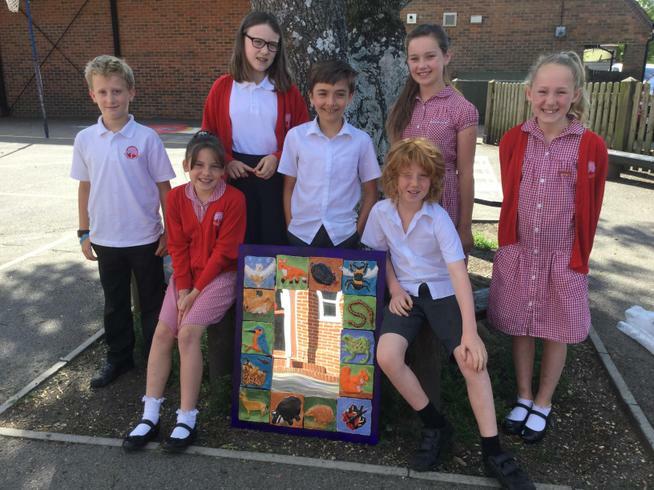 Art at Awbridge is woven into themes and is taught discretely as well as cross-curricular. Throughout the year groups children are taught about the lives and works of a range of artists, craft-makers and designers. They look at similarities and differences between artists including comparing traditional and contemporary works. Each child has a sketchbook which showcases their experimentation with ideas as they build a learning journey, evaluating their choices and outcomes. Drawing and painting is taught each half term together with another technique as a focus. 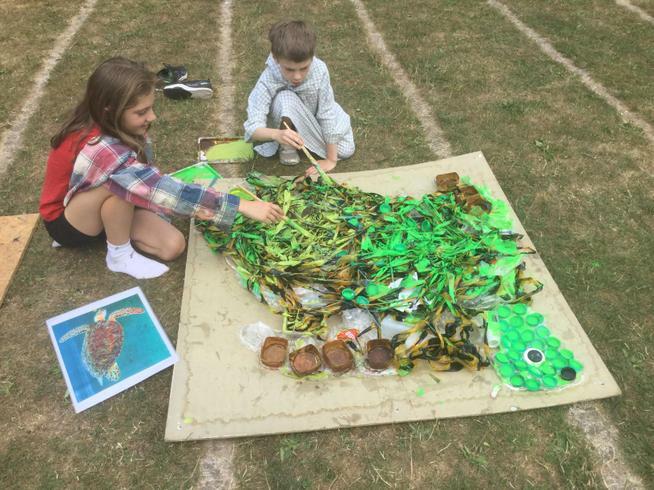 Art takes place outside of the classroom as well as inside and the seasonal changes in our school grounds give great opportunities for observational drawing and painting. 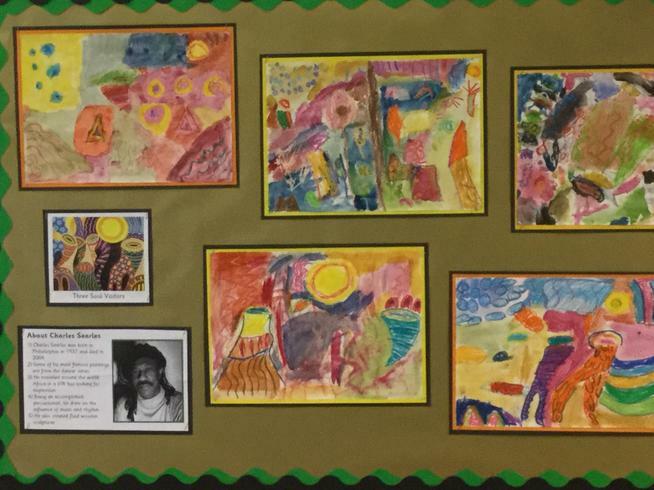 We encourage children to take great pride in their artwork and it is displayed as much as possible. 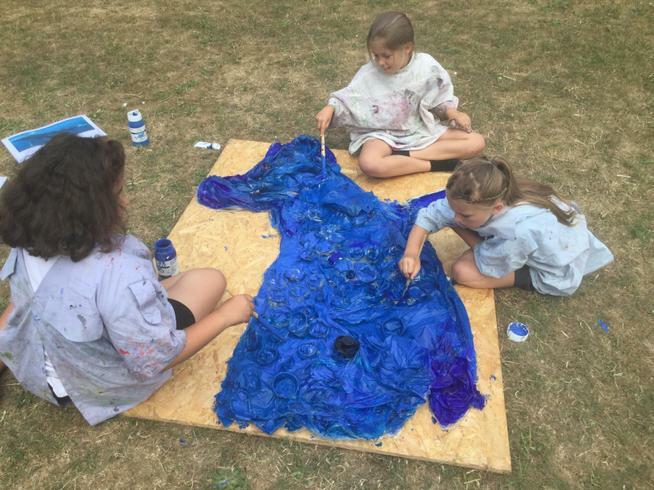 Throughout the year children have the opportunities to participate in community projects and events including individual competitions and exhibitions such as Romsey Festival. 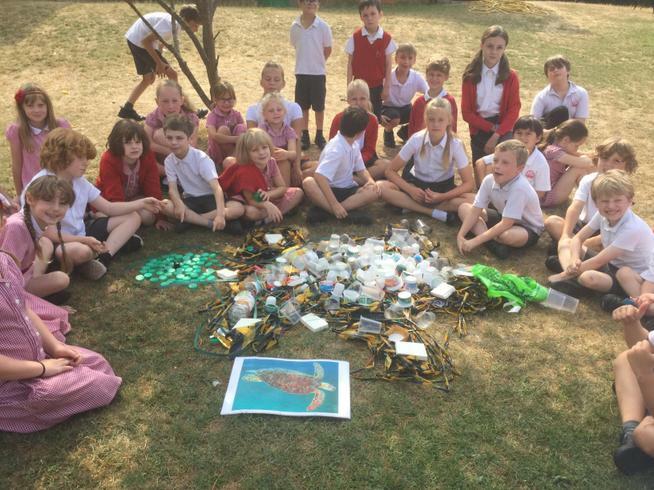 Additionally, children work collaboratively with Mountbatten School pupils to build and decorate lantern structures for Romsey’s annual Lantern Parade. 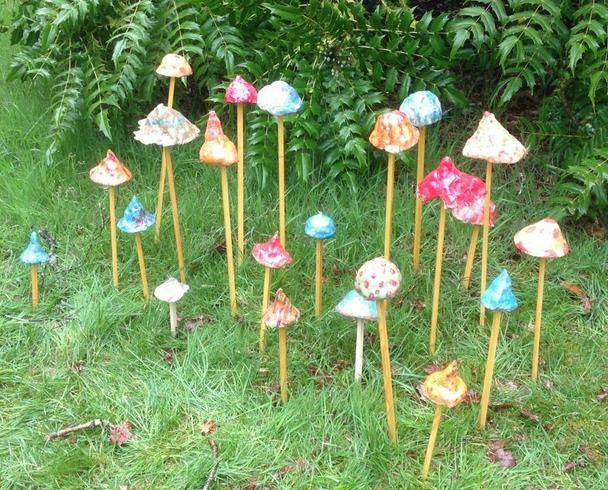 Since winning the Art in the Park sculpture award in 2016, the school has been asked to participate each year in Hillier Gardens ‘International Art in the Garden’ exhibition, where the children’s artwork is on display throughout the summer months. 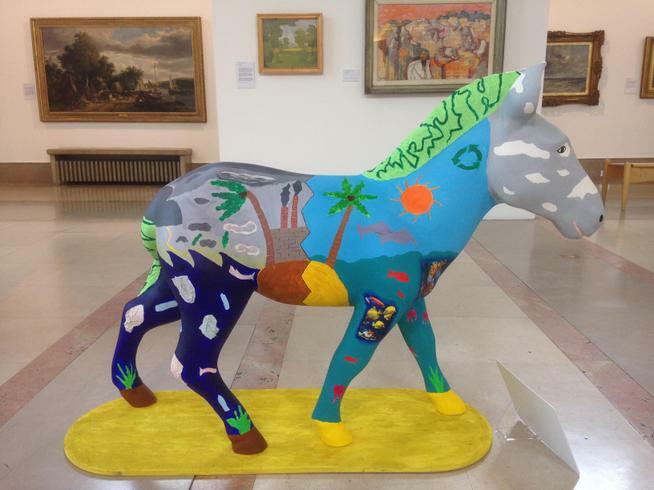 We also submit artwork to Hampshire Childrens Services offices for showcasing each year. This year we were delighted to participate in Hampshire’s Hope, Peace & Remembrance project to commemorate the ending of WW1, which saw our artwork displayed inside Winchester Cathedral.